Welcome back to Fashion Week at GLOGIRLY. I was channeling 70's ballad master, Lionel Richie, last weekend during my fashion photo shoot with Gloman. Mr. Richie? I believe you were just a teensy bit off when you sang, "Once, Twice, Three Times a Lady." Don't worry, I'll cut you some slack. Certainly you had no idea that a few decades later I'D come along. "Yes you're once, twice, three times a Katie. And I love you. I love you." 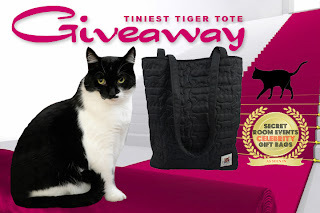 Click here for Fashion Week's Tiniest Tiger Tote Giveaway. Oh cool - there's three Katies. 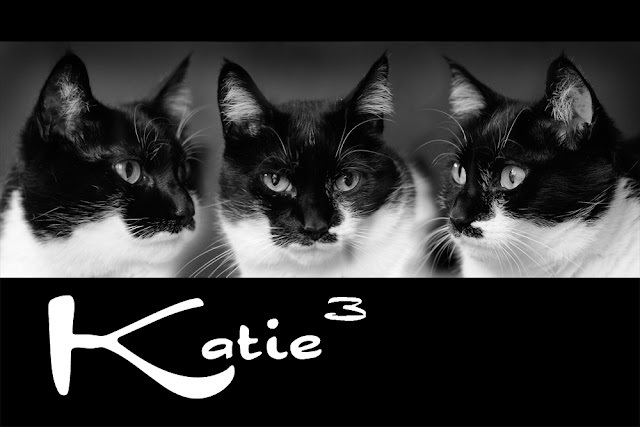 We LOVE Three Times A Katie! Beautiful! Now...if your 3 Katies each became 3 more Katies, there would be as many kitties at your place as there are at mine....I think. Do all you Katies get along? I must admit I think of Kenny Rogers' version of the song. . but either way, you are lovely Katie. Three Katies! Are you trying to get ALL the boykitties to faint over your lusciousness???? We love you thrice as much! 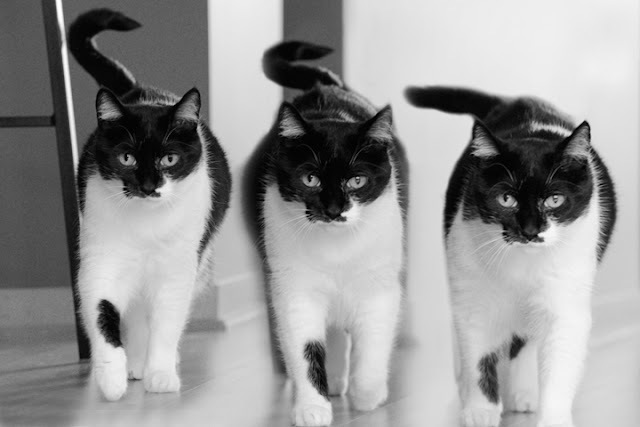 Katie has a posse and they all LOOK like her. Meowza! Katie x 3 = 3 x the fun. cranberriez katie we dinna noe ewe had a sister katie N another sister katie; whatz trooly amzing iz how much ewe all three look alike...must bee that IDENTICAL triplets deal huh !! Can you send one Katie to me? Three times as pretty as ever! If you have three Katies, do you think you could send one over here for me to keep? Three Katies! This is Christmas already!